NCDV have been shortlisted to receive a prestigious award for the Best use of Technology. 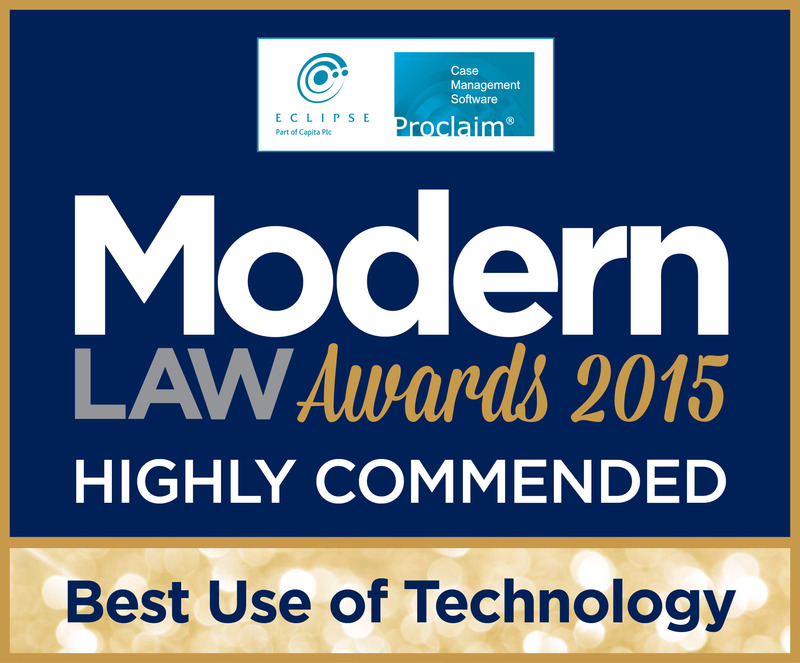 Now in their third year, the Eclipse Proclaim Modern Law Awards were launched to celebrate and identify sparkling talent and success in the modern legal services arena. ​These exclusive awards reflect the ever-increasing re-organisation and dynamism of legal service providers. The Modern Law Awards offer a unique and timely opportunity to celebrate not only innovative leaders but those changing the face of strategy and development, regulation management and client care throughout the organisation. The winners will be chosen by a cross-industry panel of high profile judges and announced at a glittering ceremony at The Hurlingham Club, London on 19th November 2015.